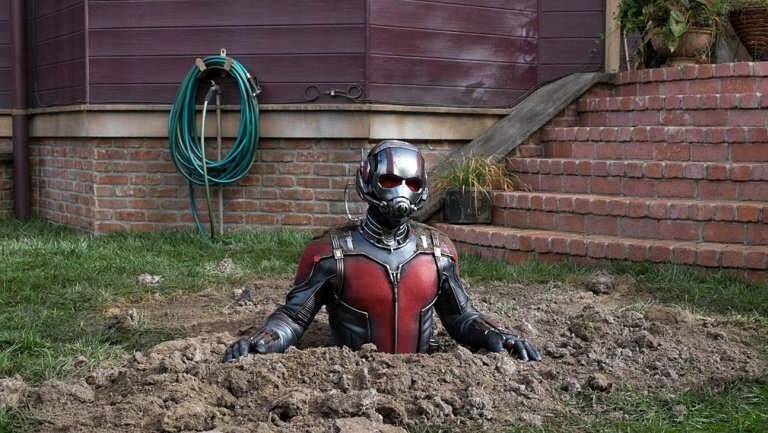 The next edition in the Marvel Universe brings a founding member of The Avengers to the big screen for the first time with Ant-Man. 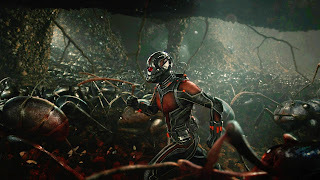 One might think even by comic-book movie standards, a thief who can shrink himself to the size of an insect – as well as telepathically control ants – is a totally bonkers premise for a Blockbuster. But somehow that concept translates beautifully on the silver screen. Just like all comic-book movies - particularly Marvel films - the movie has jaw dropping effects and tons of action sequences. Ant-Man doesn't go over the top, like so many other Marvel films do. In a world in which comic book-movie plots have become increasingly complex and rely on an enormous amount of preexisting knowledge, this script is refreshingly straightforward and clear. The movie is fun and simple, and it knows it. It doesn't try to over complicate things. 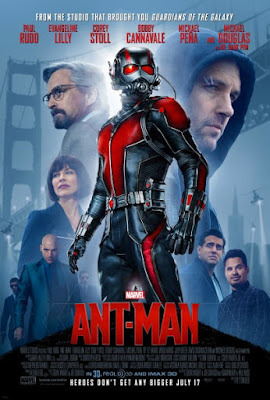 The movie's plot is as follows: Armed with the astonishing ability to shrink in scale but increase in strength, master thief Scott Lang (Paul Rudd) must embrace his inner-hero and help his mentor, Dr. Hank Pym (Michael Douglas), protect the secret behind his spectacular Ant-Man suit from a new generation of towering threats. Against insurmountable odds, Pym and Lang must pull off a heist that will save the world (du-du-duuuun). Don't get me wrong, I was just like everyone else when news hit they were going to bring the comic-book superhero to the big screen. "Psh, there's no way I'm seeing that." And even when they announced the all-star cast I was still leery. I'm in love with Paul Rudd, but can he pull this type of character off?! The answer is YES, YES, YES. His comedic timing is always on point (and he always has me rolling), and this role was no different. I don't believe this movie could have been nearly as fun and funny without him. Lang's lovable and hilarious criminal gang adds a lot of comedic relief as well. Sadly, they do not get a great deal of screen time. Pym and Lang both have family issues, non of which the audience cares enough about to matter though. Unfortunately, those plot-lines were weak and underdeveloped. I could tell they wanted us to give a hoot, but I just didn't. All in all, I had a fascistic movie experience. 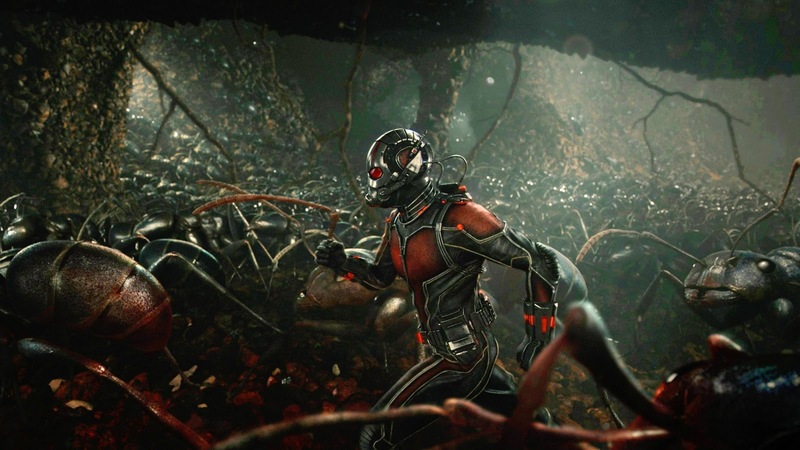 Ant-Man delivers on fun, humor, special effects and action. They definitely set it up nicely for another sequel (what, are you surprised). Side note: Be sure to stay after the credits roll, there's a little Marvel morsel for all you fanboys out there. The floor is now yours... Tell me what you thought?